A long-time staple of International Relations courses, this new edition continues the important discussion of nuclear proliferation, while looking at the regions and issues now at the forefront of the nuclear question. Over the past fifteen years, The Spread of Nuclear Weapons has been a staple in International Relations courses because of its brevity and crystal-clear explanations. 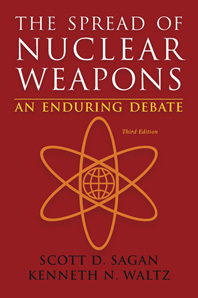 The new edition, An Enduring Debate, continues the important discussion of nuclear proliferation and the dangers of a nuclear-armed world. 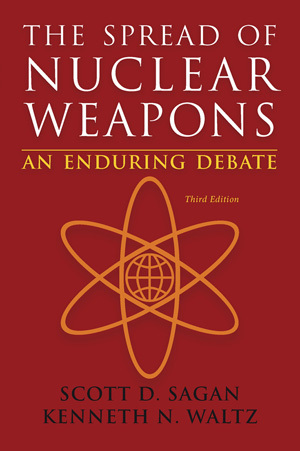 With new chapters on the questions surrounding a nuclear North Korea, Iran, and Iraq and the potential for a world free of nuclear weapons, this Third Edition will continue to generate a lively classroom experience. Chapter 5: Indian and Pakistani Nuclear Weapons: For Better or For Worse? Chapter 7: Is Nuclear Zero the Best Option?